Securely mounts your shock top with a spherical bearing. Eliminates the vertical deflection of any rubber, and the spherical bearing's freedom of movement eliminates side loading on the shock shaft. This helps the shock perform at its peak. Our mount performs the same as a rod end on the end of the shock, but does not reduce precious bump travel because of trying to fit a rod end under the shock tower. These can be used with or without a coil-over system. 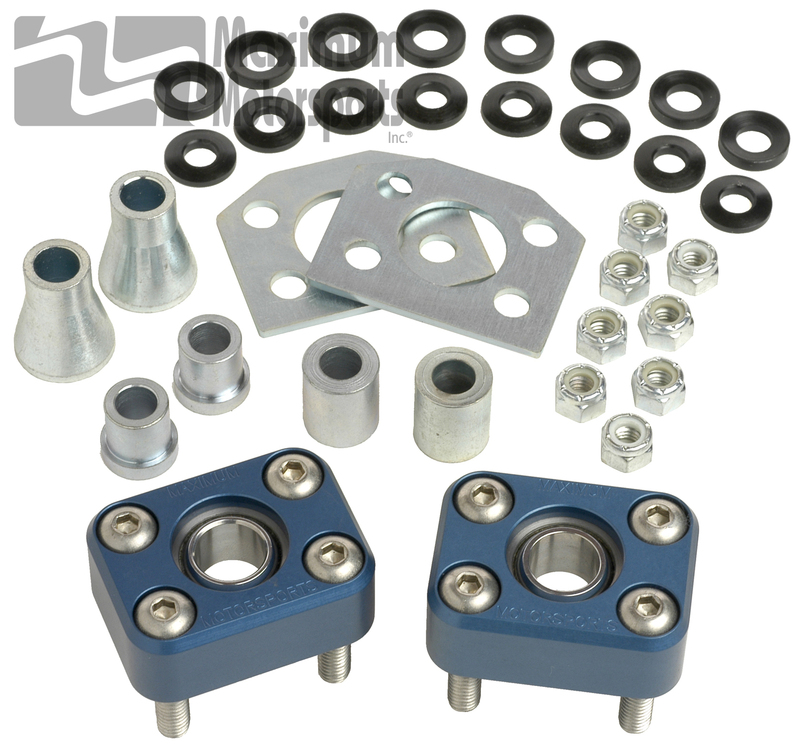 Because there is increased noise transmitted into the passenger compartment, and installation of the shock mount is not easily reversible, this product is recommended only for race cars. Not for use with IRS due to reduction in droop travel.